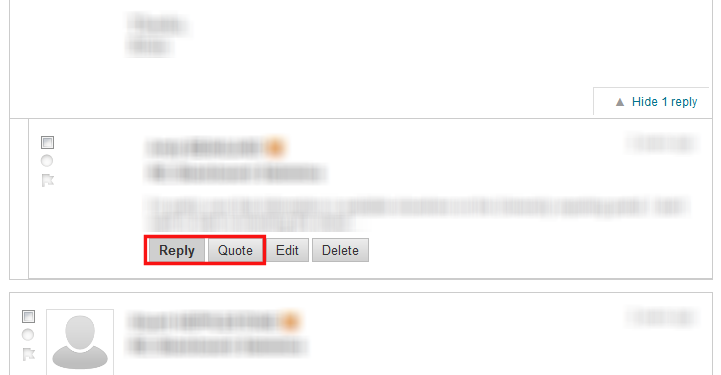 You may see two reply buttons when reading messages in a forum, Reply and Quote. If Quote is available, you may find it more useful since the message to which you are replying is embedded within your text entry area, just like in standard e-mail. The availability of Quote is determined by the instructor. Step 1: In the forum, find the message you wish to read. Step 4: Type your Message. If you clicked Quote, the original message will be included in the editor. To add an Attachment, click either the Browse my Computer or Browse Content Collection buttons depending on where the file is located. Step 5: Click Submit to post your message. Unless messages are being moderated, everyone who has access to this forum will see your message immediately. In moderated forums, Managers or Moderators have to approve the message before it gets published to the forum. If you click the Save Draft button (instead of Submit), your message is NOT posted (for all to view) but is available for you to modify.